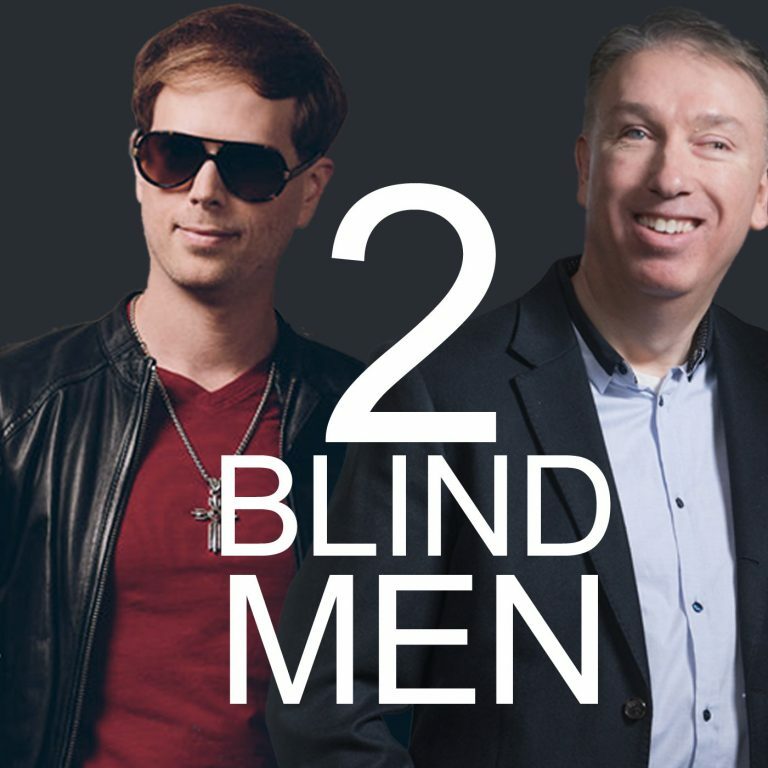 See life through the eyes of two blind men, Scott MacIntyre and Mark Dowdy, as they talk with inspirational people who are making a positive difference in the world. Scott MacIntyre and Mark Dowdy interview John Mays of Centricity Music about his journey into the music industry, balancing faith and business, and leaving a legacy. Scott MacIntyre and Mark Dowdy interview Jack Mooring from the band Leeland about their journey from pastoring a small-town youth group to touching lives around the world through music. Scott MacIntyre and Mark Dowdy interview David Pendleton about his venture into ventriloquism. Scott MacIntyre and Mark Dowdy celebrate the one-year-anniversary of the podcast by answering your questions about life as a blind person. Join the iTunes podcast. New episodes the first Monday of every month. Like 2 Blind Men on Facebook.